The Lamborghini Countach is, quite simply, the Platonic “ideal form” of the supercar. Its predecessor, the Miura, is widely considered to be the first supercar, but the Countach is what sold the world on the concept. It’s the car everyone remembers, and it is anything but subtle. The Countach’s set the template for the modern supercar. It’s mid-engined, with plenty of scoops and ducts to channel air to a massive V12. The profile is low, wide, and sleek, making the Countach look like a very angry doorstop. Then there are the vertically-opening “scissor doors” and the signature wheels, which were passed on to the Diablo and Murcielago. 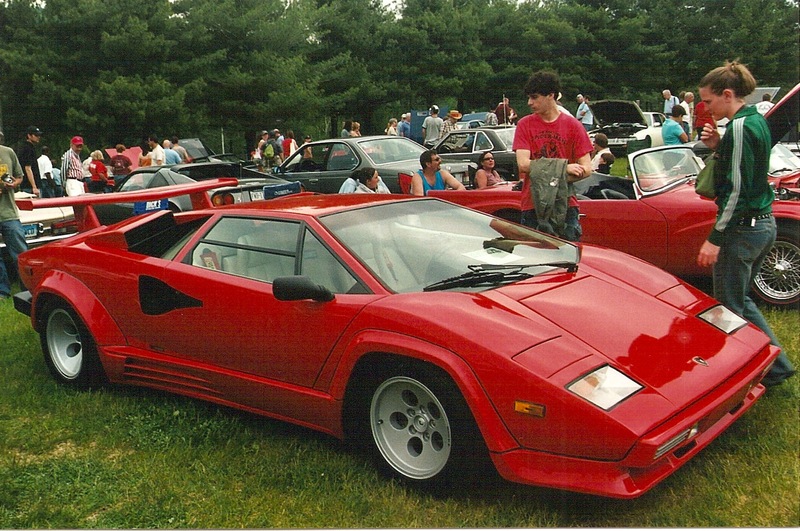 Outrageous styling is a given for any modern car that dares to call itself “super,” but the Countach did it first. It really is a child of the excessive ‘70s. Unfortunately, that applies in more ways than one. Since Nixon resigned, engineers have made massive strides in improving the handling of cars. The Countach may look like a drivable dream, but it is more like a nightmare. The cabin is cramped and all of the controls, especially the clutch, require extreme effort. Countaches are so difficult to park that Lamborghini factory workers used to get out, and sit on the door sill, to park them. Sound crazy? Check out this demonstration. Every supercar owes its existence to the Countach, but thankfully things have improved with time. Just look at Lamborghini’s own Aventador, which has the same head-turning looks but is much easier to drive. It can also top 200 mph, something the Countach could never do. The Platonic supercar is still great to look at, but that’s about it. This entry was posted on March 9, 2012, 4:39 pm and is filed under Cars. You can follow any responses to this entry through RSS 2.0. You can leave a response, or trackback from your own site.